The recent flooding in the Midwest has drastically changed the livelihood of hundreds of families and communities. It will take extensive support and aid to rebuild these communities. Officials say recently flooding in parts of Nebraska and Iowa have caused over $2.3 billion in estimated losses and damages. Over 2,000 homes and 340 businesses have been damaged or destroyed by the flood. Farmers in these areas have experiences an estimated $400 million in livestock losses and $440 in crop losses. These numbers are growing by the hours in affected areas. Governor Pete Ricketts has stated that over 75 Nebraska countries are in a declared state of emergency. The flood waters has affected hundreds of homes and even more families and communities. 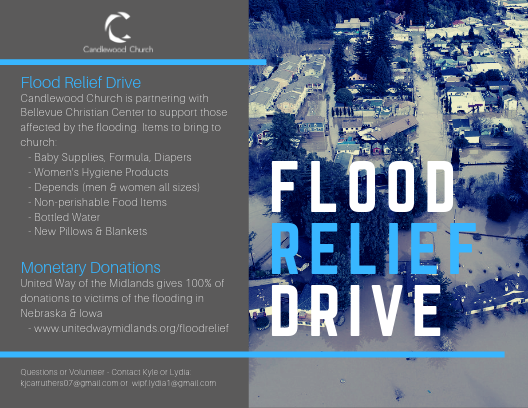 Candlewood Church in Omaha, NE would like to join in helping these communities with donations, monetary support, and volunteering services. 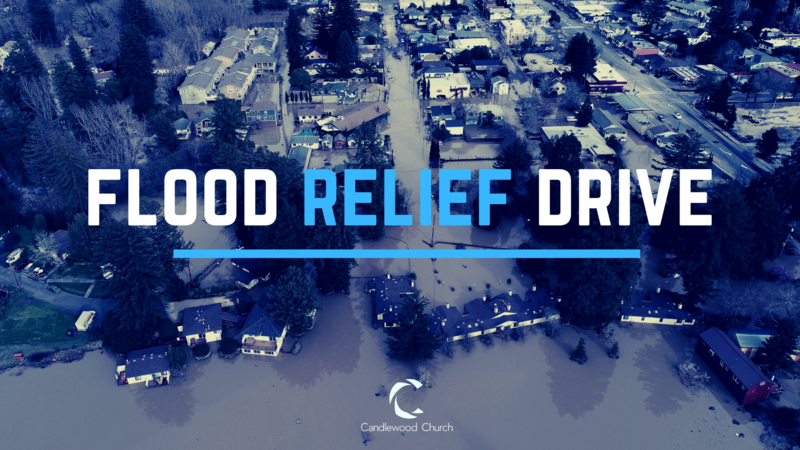 Flood Relief Drive will allow Candlewood members and non-members to bring in supplies needed at this time to help support families affected by the flood. Items will be collected during both Sunday church services, at our church building on 5051 F St. Omaha, NE 68117, in the month of March and taken to Bellevue Christian Center. Monetary Donations – United Way of the Midlands has a secure website that gives 100% of the donation to the victims of the flooding. As Candlewood Church, one of our key missions is to genuinely care for the needs of our community. The Midwest is in a desperate, historical time of need. We invite you to join us in helping those who may have lost everything.